We've put together a list of some of the hottest green products for the bathroom. Every faucet, toilet and showerhead in this list is designed for water-efficiency and meets or exceeds the EPA's WaterSense® requirements. 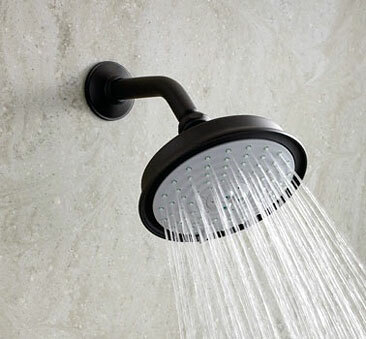 Showerheads are the newest addition to the WaterSense® family of bath products. Homeowners typically use over 70 gallons of water a day per person. Much of that usage stems from bathroom activities. For example, water flows from a standard showerhead at 2.5 gallons per minute (gpm), so a 10-minute shower (with the water running continuously) nets 25 gallons. This is why using a WaterSense® approved showerhead is so important to water conservation in your home. WaterSense® products must have a flow rate of 2 gpm or less, while also meeting performance requirements for flow rate across a range of pressures, spray force, and spray coverage. Danze® who has always been known for its fun innovations in the shower has expanded their shower products to include new water-saving showerhead models available with a flow rate of 1.5 gpm and 2.0 gpm, including several five-function showerheads featuring their patented dual valve technology. This patented design reduces pressure loss, optimizing water flow and spray performance even at low water pressures. Several of the new styles are available as a handheld. These new green products are one of the first in their class to proudly display EPA's WaterSense® Label. The 2141 Contemporary Single Function Showerhead by Newport Brass® is the perfect addition to any size bathroom. MSRP: $299-$486. Newport Brass® is a WaterSense® partner that offers a line of Innovative Shower Systems including a two-wall power shower system, three-wall his/hers shower systems, three-wall and ceiling shower system and single multi-functional showerheads to create a spa-like shower. Their multifunction showerhead models feature five spray modes — full, massage, intense flow, turbo massage and intense turbo. When it comes to toilets, companies have actually come up with some new designs to make this rather large, yet necessary item look stylish in your bathroom. Gone are the commercial looking toilets that our parents tried to hide with rugs, lid covers and a bounty of trinkets on top. These new models and designs are actually a key design element to your bathroom, especially in smaller spaces. 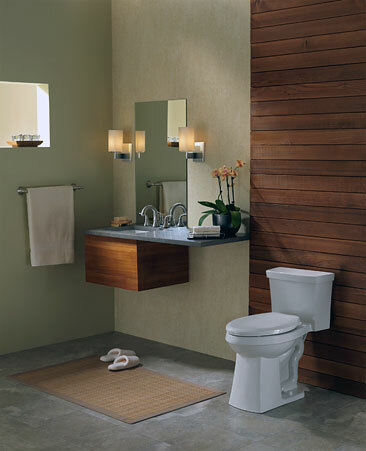 The American Standard® Boulevard® pedestal, under counter and above-counter lavatories offer unique flexibility in design and are matched with the Boulevard® toilets and wood finish toilet seats for a stylish accent to the bath or powder room. 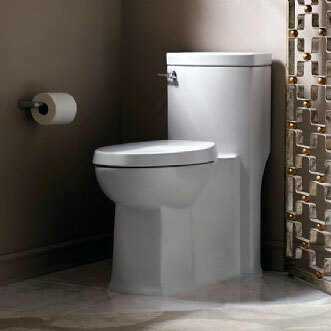 The Boulevard® WaterSense® toilets are prices at $895-$1119. You'll want to check out American Standard's® two new luxury collections, the Boulevard and Town Square. Both lines feature its landmark FloWise flushing system, which plans on making the plunger extinct with a 1.0 gallon per flush — the lowest gpf on the market. If you don't want to splurge on their luxury green line, be sure whatever line you choose has the H2Option (1.6 gpm) like the Champion 4®, which has the industry's widest outlet, largest flush valve and EverClean Surface. These toilets are virtually clog free and practically clean themselves. American Standard® has over 18 collections of high performance toilets to choose, which makes it easy to find the right toilet to compliment your bathroom's décor. 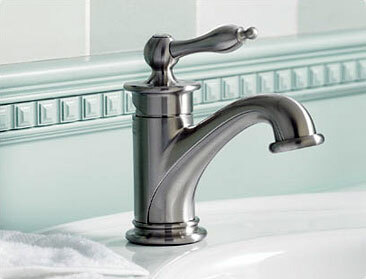 When it comes to bath faucets the selection is endless, but one feature that is a "must have" is the WaterSense® label. This means your faucets will come with 1.5 gpm water-saving aerators, which is a 45% water savings over less efficient 2.75 gpm faucets. As the competition heats up, consumers continue to benefit from a wide range of styles, finishes, new technology and price points when it comes to choosing their bath products. Advances in plumbing technology and design mean that you can now choose faucets, showers and toilets that use significantly less water than standard models while still delivering the rinse, spray and flush you expect. Simply look for the WaterSense® label when purchasing new bath products.